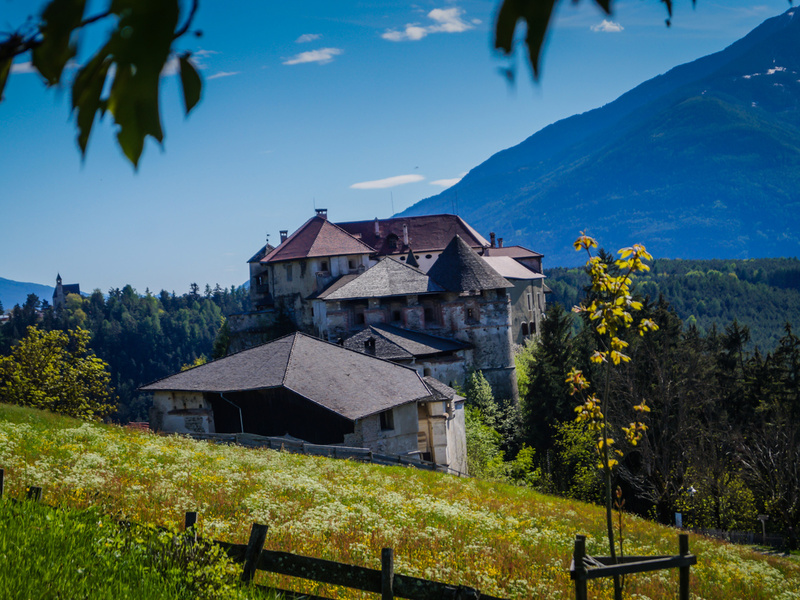 The Rodenegg Castle is one of the most impressive fortresses in South Tyrol. In addition to its beauty it amazes the visitors with its special location. It is build on the gorge of the Rienz river and that looks really dangerous. Frederick I. built the caste in the 12th century. Four centuries later, the castle was restored and expanded and now it is still in this family propery. These are the descendants of the famous minstrel, Oswald von Wolkenstein. The many uninhabited premises of the fort are used as a museum and are open to interested visitors from March to October. The interior has been issued from the late Renaissance. Another sight in the castle are the frescoes, which were discovered in 1972. The eleven frescoes were painted in the Middle Ages and show the legend of "Iwein", one of King Arthur’s Knights of the Round Table. If you are fascinated not only by the medieval world, but also by the cultural and natural beauty of South Tyrol, you should really take the time and have a look at Rodenegg Castle in Eisacktal.